Is your next adventure somewhere unprecedented? or do you simply want to expand your options in advance? If you dive into a water that is 300 to 3000 meters above sea level, this is called 'Dive altitude'. Most algorithms are designed to plan dives up to 300 meters. During the SSI Altitude Diving program at our dive center, you will learn everything you need to plan a safe dive at higher altitude. During the theory session we will teach you how to plan diving at altitude and to make use of the tools that are available for this with our explanation and materials. You will make your dive planning yourself! Number of dives: For the SSI Altitude diver specialty we make two dives. 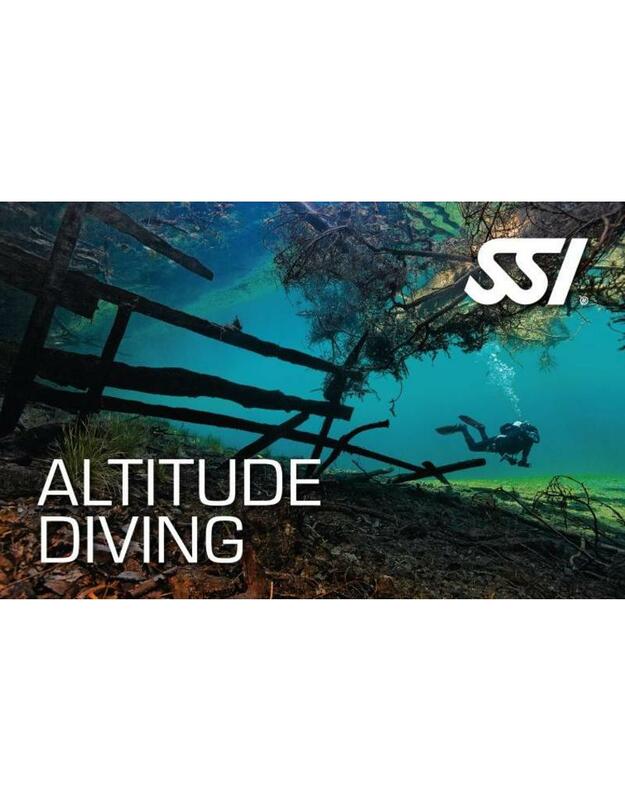 The SSI Altitude diver specialty course can be followed at our diving school in Vinkeveen and Almere 7 days a week between 09:00 and 23:00 h. Call or email us directly to record your date or book directly online and we will contact you. to make an appointment when it suits you! Diving equipment: During the SSI Altitude diver specialty course you use Your own diving equipment or You can rent the necessary diving equipment with us!